Good morning everyone! I hope you are all doing well! Today I have another look for you, this time from London! 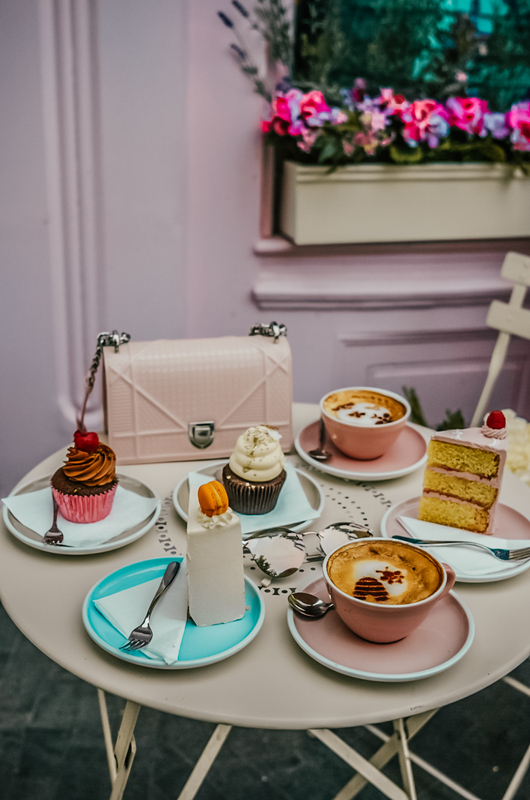 As you might know, this café is one of my favourites in London and I never miss a visit when in town! 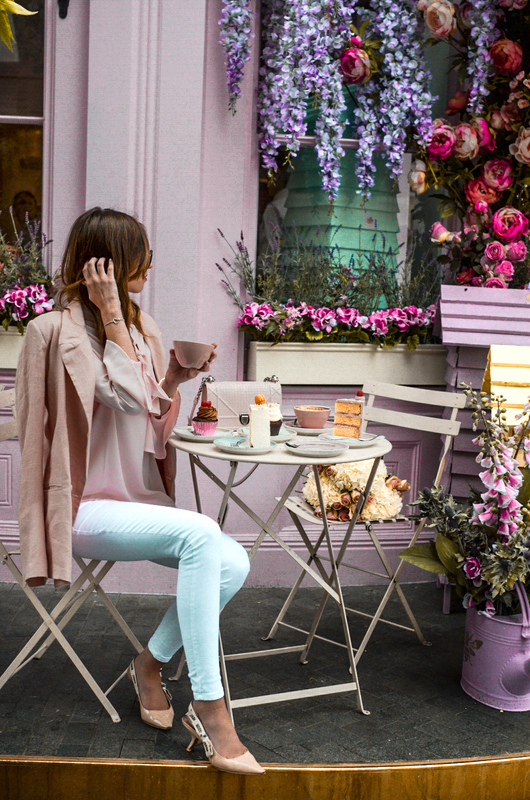 This time I matched my look to the surrounding, wearing a pair of white skinny jeans with a baby pink blouse and matching blazer. 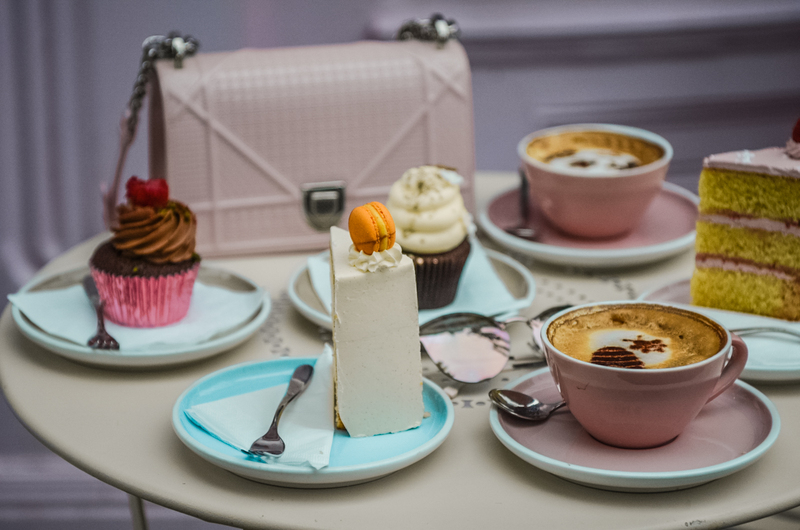 I went for my pink Diorama bag, which is still one of my favourite bags! So, how do you like the shots and the look? Krásné středeční ráno všem! Dneska mám pro Vás další post a tentokrát je to outfitový článek z Londýna. Kdo mě sleduje již delší dobu, tak může vědět, že si v Londýně nemůžu nechat utéct kavárnu Peggy Porschen. Tentokrát jsem v ní byla již asi po páté a nikdy mě svými dekoracemi nezklamala. Pro dnešní post jsem se sladila s exteriérem a oblékla si bílé skinny džíny, společně s růžovou halenkou a blazerem ve stejné barvě. Přidala jsem J'Adior slingbacks a oblíbenou Dioramu. Tak jak se Vám look a fotky líbí? 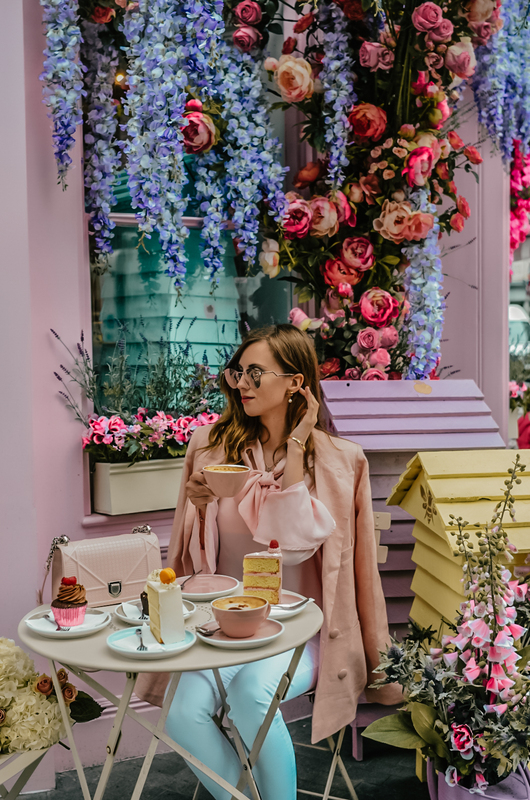 Love the pink look and how it matches the café! That Dior bag is just so pretty! This cafe is definitely one my wishlist of places to go to when I visit London. All the goodies look phenomenal and of course you can't beat the decorations. 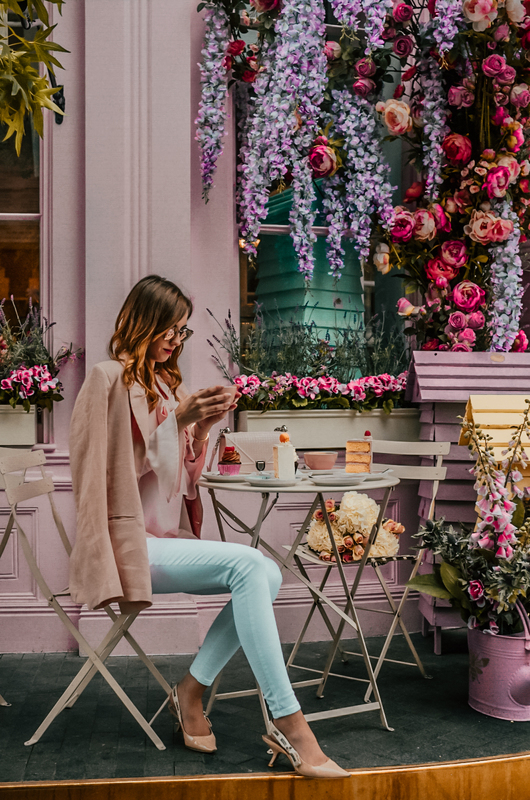 I love how all the pastel tones in your outfit correspond perfectly with your surroundings – now that is some great styling! I think it's nice how you have so many splashes of pink in your outfit and even though they're all on the lighter side, they're not the exact shade so it creates a nice contrast! Just dying over all the pastels! !